Great to see 11 boats out in Seattle at their frostbite regatta last weekend and some big names too. 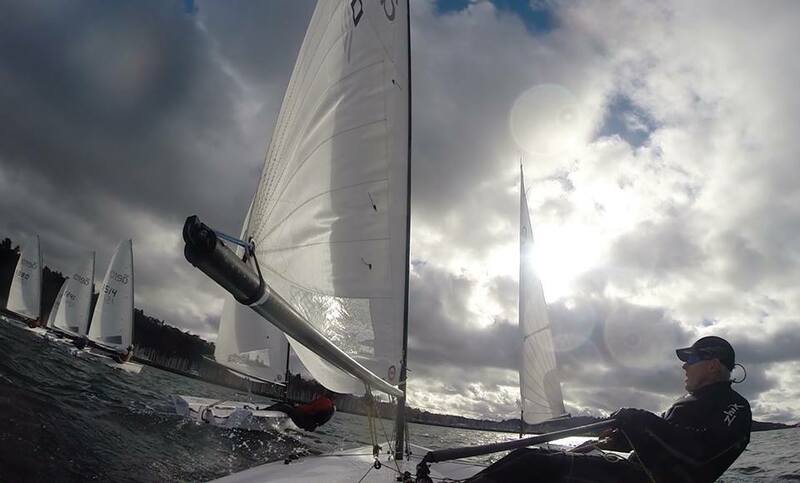 We had a great regatta on Puget Sounds last weekend Jan 30-31 for the RS Aero Frigid Digit Regatta sponsored by the local Seattle Laser Fleet. This is a 40+ year old event and the PRO was our own Todd Willsie who left his RS Aero ashore to run an outstanding regatta banging off 10 races over two days. The wind was light-medium at 8-16 knots from the SSW with a strong ebb tide and very flat water. We saw some brief windows of sun, but overall it was a dry and cold, but not freezing two days. Perfect winter sailing. The regatta was won by Dalton Bergan in his second time in the boat. He was fast, smart and made very few errors. Congratulations to Dalton. Second was last years RS Aero North Americans winner Dan Falk. The fleet was much closer than in the past and we had many marks with several boats overlapped. Great tight racing. There were some funny moments … like the time I dragged the windward mark downwind to assist all those behind me to have an easier rounding. Or my four (yes 4) capsizes. All in light breeze. I definitely need to get my 9 rig more stable downwind! Pic above; Michael O'Brien getting rolled by Dalton and squeezed by Dan at the start of race 1.